Finding the best printer can be a huge challenge. Before you even begin to choose, just by looking at the wide range of printers that you need to sort through to make a choice, you’ll certainly get really confused. Unfortunately, it gets even more complicated than that. It’s not just about finding the printer with the most advanced capabilities and the most features. It is about finding a printer that’s best for you and your individual needs. That certainly opens up a whole different aspect of decision-making, and this time around, you don’t just choose a printer in general. You have to look at the printers’ capabilities and features individually and find the best combination for you. At this point, you have to consider a lot of different factors. Choosing a printer can be a long process, but once you find the printer that’s best for you, you’ll certainly be thankful that you spent enough time making the right choice. Here are some tips and recommendations to help you find the best printers out there. The best printers out on the market should meet a lot of standards with flying colors. When choosing a printer, you have to consider a lot of factors. 1. Specific Printer Needs - Photos or Documents ? First, consider your specific needs. Ask yourself what you need a printer for. What will you be printing on the printer? This is the most important question you have to ask yourself. Determine whether you will be printing photos or mostly documents. Also, think about this question on a long-term basis. Don’t just think about your currently planned uses for the printer. Think about what might come up in the future. Do you think you’ll be printing invitations or flyers using the printer? There are a lot of great printers out there; some are optimized for photo printing by providing very helpful features in photo printing, and these printers are very different from printers that are more closely focused on text printing. Also, think about your specific preferences. Do you want a high-speed printer or speed isn’t really important? High-speed printers may be a bit more expensive, so settling for a slower printer can help you save on your purchase. You also have to consider the mix of features included in the printer package. You should look for the printer with the most number of features that you appreciate. Also, since there are desktop printers and all-in-ones, ask yourself whether you also need a scanner, a copier, and a fax machine. There are also multi-functions with just a scanner and a copier if you don’t need a fax machine. Finally, consider your budget. This is a big part in any purchase. Printers nowadays come in extensive price ranges. Most websites that offer guides for buying printers often offer helpful lists of the best printers broken down according to their prices. Here are some recommended printers based on your needs. If you are looking for excellent photo printers with topnotch print quality and image printing features, you should go for the Pixma professional photo printers from Canon or the Photosmart series from HP, which are all optimized for photo printing. And if you take photo printing seriously, you can go for the all-in-one Pixma and Photosmart printers instead of just the desktop printers so you can also restore old photos using the built-in scanner and the copier. If you will use the printer in an office, choose an office printer that’s ready to be connected to a network and one that prints fast so that it won’t affect office productivity and employee efficiency. You should also consider paper handling options of office printers to avoid paper jams when there are a lot of print jobs in line. If you want a fast printer for text documents, a laser printer will be more ideal than an inkjet printer. If you are looking for high-performance printers at a price you can easily afford, you should check out some of the most reasonably priced products from top brands. Which of These Best Printers Get the Best Ratings? Here are some best printers that received great reviews from reviewers and excellent testimonials from users. Check out the Canon Pixma iP90, MP610 and Pixma Pro9500, HP’s LaserJet 1020, OfficeJet J6480 All-in-One, and DeskJet 9800, the HL-2170W from Brother, Lexmark X6570, Epson Stylus Photo 1400 and Stylus Pro 3800 and you can be sure to be satisfied with your pick. Choosing the Best Color Laser Printers - If you need high-quality plain paper printers that print with high speed, you should be looking for the best color laser printers. Finding the Best Inkjet Printer for You - If you need a photo printer that can help you print great graphics and photos, then you should be in the market for the best inkjet printer. Looking for the Best Photo Printer? - As digital cameras and camera phones proliferated, the photography industry boomed and suddenly, everybody seemed to be looking for the best photo printer for themselves to help them create beautiful photo prints even on their own. 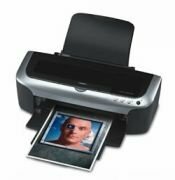 Best Home Printers - Finding the Perfect Printer for Home Use - The best home printers are perfect partners for the most demanding home users. Unlike in buying a printer for an office, in which case you pretty much know what types of print jobs you will be printing, shopping for a home printer puts you in an arena full of blind spots. Best Laser Printers - The Quest for Your Ultimate Workhorse - The best laser printers are everywhere, but they remain quite elusive as the market gets even more crowded. Laser printers come in multitudes, and the models vary in different ways.